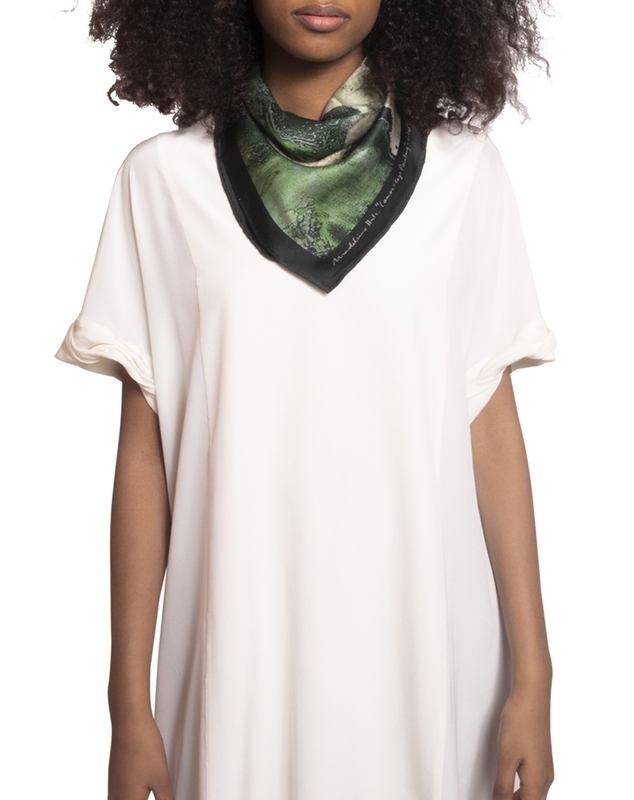 Silk bandana scarf with artisan print. This scarf is designed in collaboration with artist Madeleine Hatz. It´s a digital reproduction of Madeleine’s painting with the same name, printed on silk. This small scarf is made of soft sik satin and has a delicate handsewn hem. It´s perfect to tie around your neck or wrap around your wrist. It can also be used as hair accessory. Amazing silk scarf, definitely one of the best. Easy to use and the size is perfect. Many ask where they can get the same one. Thank you for your review. Great to hair that you style it in various ways.